I like blending bourbons. I've mentioned that ad nauseam here on the blog. I think that blending what you have on hand to make "new" bourbons is fun and lends variety to the bourbon shelf that isn't always there otherwise. Blending is an art celebrated by whiskey producers in other countries. Master Blender is an important title, and media outlets interview those that hold it. Here is the States? Not so much. 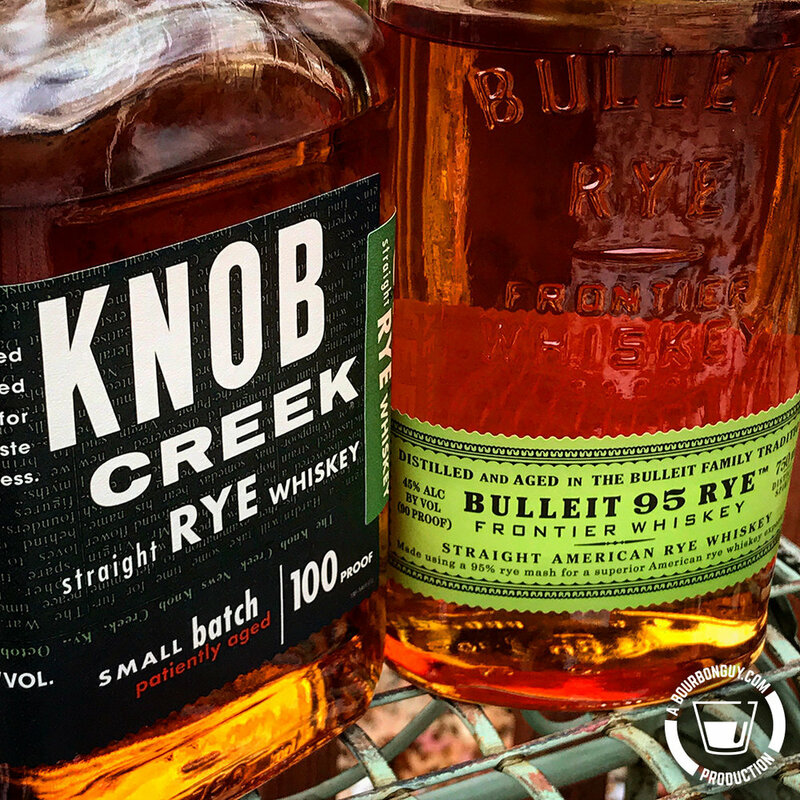 We assume that a blend means it contains vodka (mostly because American Blended Whiskey is allowed to be blended with vodka) and so, with a few notable exceptions, we rarely talk about blending. So when I was walking through the liquor store and saw a $50 bourbon, from a large manufacturer, with "blend" in the name...well I had to take a look. It turns out that it was a bourbon that was intended to be an exclusive of the Evan Williams Experience. Due to a quirk in Kentucky law, liquor stores are allowed to order them as well, and this one had. So what was it? Well, it is a blend of various Evan Williams expressions: Black label, Bottled-in-Bond, 1783, Single Barrel, and 23-year-old. That last one possibly to justify the price, because it is a little pricey. I paid $54 for a bottle that is made up of things that normally cost right around $20. Good thing it was a souvenir. Some people overpay for T-Shirts while on vacation, I overpay for whiskey. Purchase info: $53.99 for a 750 mL bottle at Westport Whiskey and Wine. Details: 45% ABV. A blend of 5 Evan Williams products. Nose: Floral with vanilla, caramel, nutmeg, dried grain, some oak and a hint of soap. Mouth: Good Spice with nutmeg, vanilla/caramel, dried grain, and oak. Finish: Nice length with a gentle warmth. Lingering baking spices. Thoughts: I like this. It is a nice blend that captures the essences of its constituent parts. The grain is there from the younger varieties of Evan Williams, but some of the oak is there as well. So is it worth the price? Not a chance. 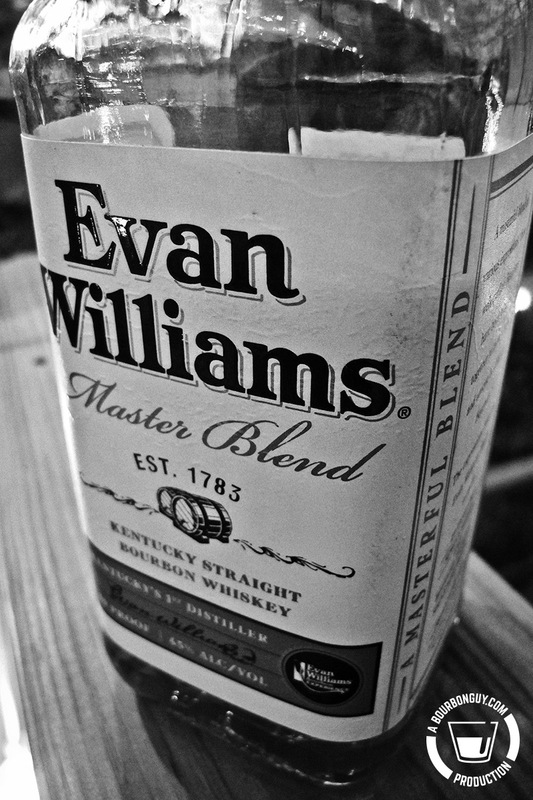 Evan Williams Master Blend is an interesting souvenir bottle, but nothing more.